Gator gymnast Rachel Spicer gator chomps to the crowd following the Gator win. 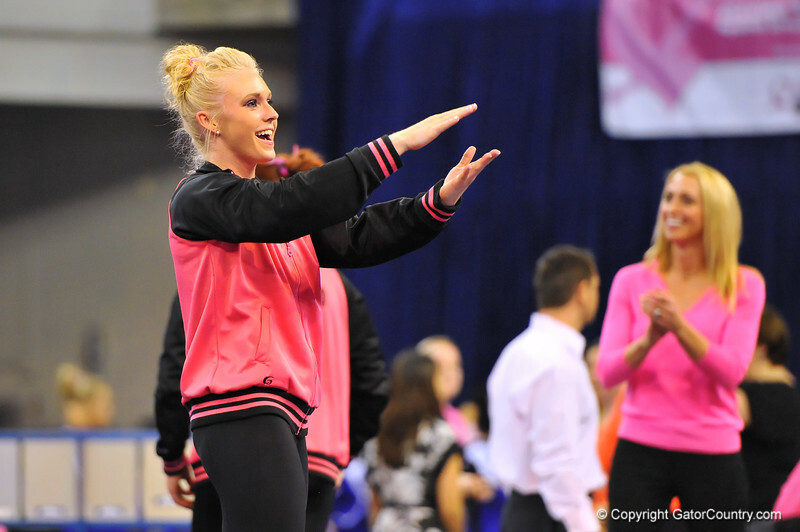 Florida Gators vs LSU Tigers Gymnastics. Feb 21th, 2014. Gator Country photo by David Bowie.